Green dome without a lot of interest. One place to start from the north end of the small wood to the west at around R9295 6138 A. As of 2011 it is possible to walk through the fairly open trees to a point near to the summit. Although the land near the top is up to 400m above sea level, it is actively farmed and it might therefore not be possible to reach the top at times. 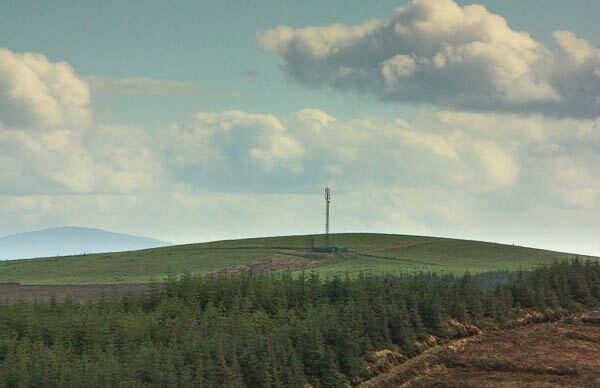 There is a relatively small telecom mast north of the top operated by Vodafone. There is no marker at the top. Up and down will take 60 mins.